Finding truffles in the wild was an absolute first and a beautiful experience. This was my 3rd mission on my Catalunya Challenge. 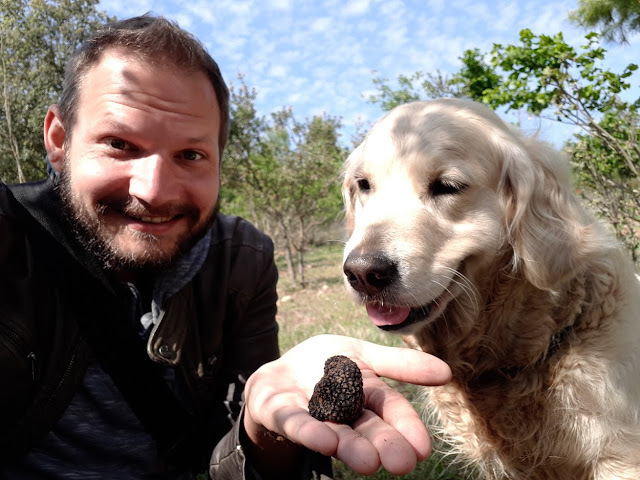 I initially thought I'd go truffle hunting with pigs which is the traditional way to do it but I ended up exploring the woods around the Prades mountain with 3 very skilled dogs owned by Didac Tofona together with Xavier my host at Camping Serra de Prades. To my surprise the dogs found the truffles incredibly fast! I spent the entire day learning everything about truffles and we even enjoyed some the traditional way in the middle of the forest. I even digged up a truffles nest. You can find my YouTube video about that and some truffle fun facts below in the post.